Editor’s note: This is part one of a two-part series. Look for part two: “Growing Your Client Base,” in March. Private practice is a consistently growing area for communication sciences and disorders (CSD) professionals. Whether making the transition from employee to employer, or changing their current road map for an established business, private practitioners are searching for new ways to compete in today’s market. Three key ways CSD professionals can make their private practice stand out include finding a niche, diversifying offerings and becoming business savvy. 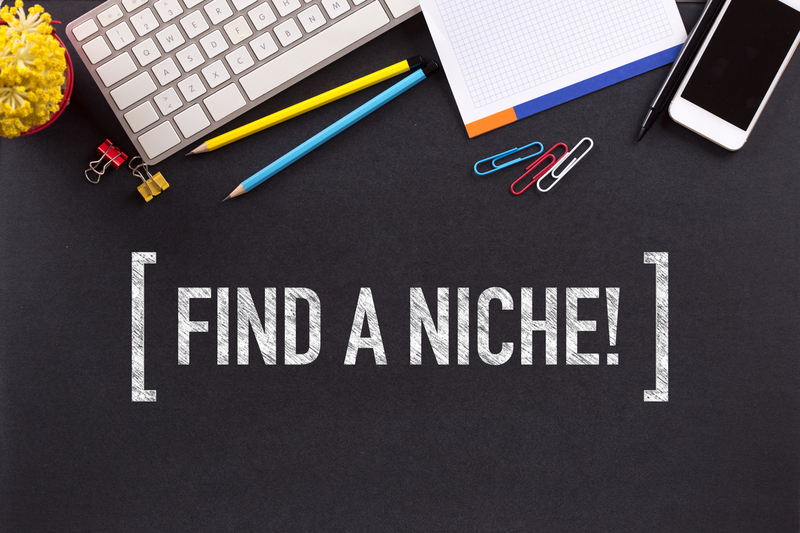 One way to create a competitive edge and grow business is by finding a niche. Especially if you live in an area with several practitioners in your profession, it helps to stand out by focusing on a specific area. You might need additional training or specialized certifications, but the business this training can generate offsets cost. Being a specialist also shows evidence of hard work and garners a certain level of respect from clients. Diversification of your professional offerings can also create a competitive edge. By creating multiple streams of revenue, we leverage our skills, increase client reach and create a financially stable business model. Audiologists and speech-language pathologists can offer services including telepractice sessions, public speaking, organizing training seminars, consulting with other service providers, hosting webinars and establishing interdisciplinary collaboration. Finally, thinking like an entrepreneur also gives your practice a competitive edge. Most audiologists and SLPs didn’t take business courses in school. This can make business decisions feel overwhelming. But if distilled down to the basics, there are three key areas we need to understand: competitive pricing, market area research, and highlighting your unique strengths. You might be concerned that becoming too specialized will result in missing out on business, but it can help you stand out within a potentially crowded market. Three steps will guide you toward a rewarding and potentially profitable niche: identify your professional passion, assess your current knowledge and strengths, and research needs of potential clients/patients in your area. Specialization is important in finding your niche. Some private practitioners worry their geographic area is saturated with people with the same certifications, but you can broaden your services within an area of specializations. Further differentiate yourself: Seek out unique training, possibly outside our direct field, to broaden your skills and understanding. Establish credibility: Speak to local organizations and publish information helpful to others locally, nationally and internationally. Limit competition: Be aware of your competition and find ways you can offer services to better meets the needs of your clients and their families. Diversify offerings: Offer resources in a variety of formats and on different platforms. I run a private practice with a specialization in dysphagia. Living in a rural community means patients often travel into the nearest city for specialized dysphagia care. After earning my board certification in swallowing, I began marketing to local physicians, specifically otolaryngologists (ENTs) and neurologists. Developing a specialization within a niche helped propel my practice even further as I became the only clinician within a 75-mile radius to perform fiberoptic endoscopic evaluation of swallowing (FEES). Tara Roehl, my co-author for this article, owns a private practice focused on social cognition and executive functioning. After a move to a new state, she decided a physical practice didn’t work best for her life as a mom and business owner. So she used her experience with telepractice to expand that aspect of her business. While telepractice continues to grow, telepractice practitioners with her level of training and expertise are hard to find. She networks by speaking at conferences geared toward families, especially those with children in need of her services. By raising awareness to families about social cognition and executive functioning, she helps families realize their child’s needs and places herself as an expert to provide those services. Make sure potential clients need the niche you select; otherwise, it doesn’t matter how knowledgeable or passionate you become, the market won’t support it. In part two of this series, we will cover diversification and business acumen. Until then, please share your private practice questions or success stories in the comment section below.